CardiB has announced that she has split from her Migos member hubby offset. 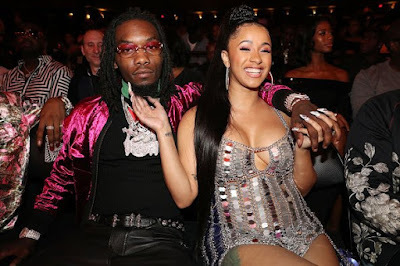 The couple in recent times had been plagued with allegations of infidelity on offsets side,with Cardi getting into brawls with strippers and exotic dancers she thought offset was creeping with. She shared this video below saying it was over with them. Offset also commented saying "y'all won" trying to lay the blame at the doorstep of the fans..
Who knows if this "breakup" is real..or just some publicity stunt?